Customer satisfaction is the single most important goal for Lori Bonarek. Beginning her career in 2005, Lori has established herself as a top producer in Grundy County. She is dedicated to providing her clients with impeccable service and has a reputation for customer care, honesty, and loyalty. Lori prides herself by serving her client’s best interests, and give each one her full attention to their specific needs. Her passion for helping buyers and sellers understand the real estate process is unmeasurable. 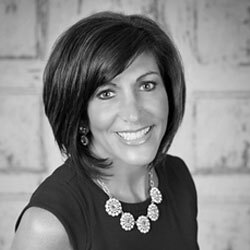 Lori is the proud owner of Lori Bonarek Realty, and the team leader of The Lori Bonarek Team. With a career spanning 12 years, Lori’s dedication to her clients makes her a highly sought after broker. One of Lori’s main goals is to build a lifelong relationships with every client. She advocates for her clients and is a tough negotiator. She believes in service from her team that won’t stop after the closing, and is determined to be your REALTOR® for life!